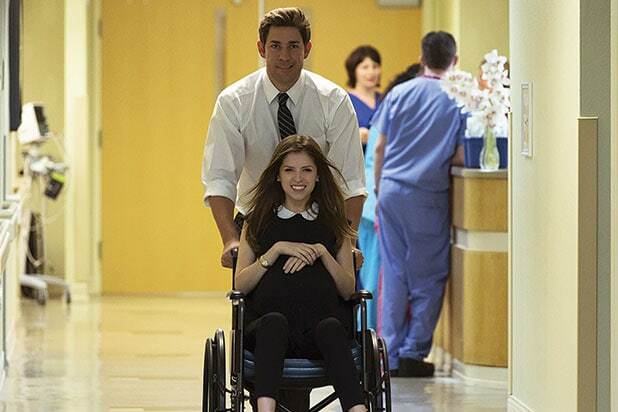 John Krasinski‘s “The Hollars” has been acquired by Sony Pictures Classics ahead of its Sundance premiere Friday night, the studio announced in a statement to TheWrap. “13 Hours” star Krasinski leads a cast that includes Margo Martindale, Richard Jenkins, Sharlto Copley, Anna Kendrick, Charlie Day, Josh Groban, Mary Elizabeth Winstead and Randall Park. “The Hollars” follows John Hollar (Krasinski), a struggling NYC artist who is forced to navigate the small middle-American town he left behind when news of his mother’s illness brings him back home. After returning to the house he grew up in, John is immediately swept up in the problems of his dysfunctional family, his high school rival, and an over-eager ex-girlfriend as he faces impending fatherhood with his girlfriend in New York. Directed by Krasinski from a script by Jim Strouse, the film is produced by Krasinski, Tom Rice, Allyson Seeger and Ben Nearn and executive produced by Michael London, Janice Williams, Mike Sablone and Strouse. “I couldn’t be more thrilled to have a partner like Sony Pictures Classics. To have ‘The Hollars’ join their long list of impressive films is a true honor,” Krasinski said. The deal was negotiated with WME Global, on behalf of the filmmakers. Paul Rudd and Craig Roberts struggle with looking after one another in Rob Burnett's comedy, but Netflix was more than happy to look after the SVOD rights for nearly $7 million. 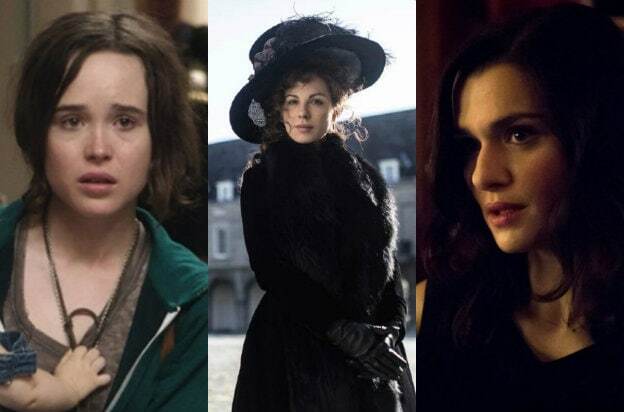 Netflix scooped exclusive SVOD rights to Sian Heder's "Tallulah" to the tune of $5 million, which follows Ellen Page as a nanny gone rogue. An unnamed theatrical partner will release the film in the latter part of 2016. Rachel Weisz and Michael Shannon seduced Amazon into purchasing U.S. rights to this thriller, in which Weisz plays a mysterious dinner party guest who Shannon swears he's met before. And he may be right. Amazon will seek a theatrical distributor for later in the year. Whit Stillman's reteaming of Chloe Sevigny and Kate Beckinsale goes from the after-hours life of "The Last Days of Disco" to the sidewalks of Jane Austen in "Love and Friendship" -- which now belongs to Amazon for streaming and Roadside Attractions for theatrical. The partnership comes after the companies worked together on Spike Lee's "Chi-Raq." The Iranian horror film "Under The Shadow" -- which has been compared to "The Babadook" -- had its SVOD rights go to Netflix. Fox Searchlight closed a record-breaking deal to acquire worldwide rights to Nate Parker’s “Birth of a Nation” for $17.5 million, which is believed to be the most paid for any film in Sundance history. Sony Pictures Classics acquired worldwide rights to “Equity,” a female-driven Wall Street tale starring Anna Gunn, James Purefoy, Sarah Megan Thomas and Alysia Reiner. Lionsgate’s Summit Entertainment acquired North American rights to James Schamus‘ directorial debut “Indignation” for $2.5 million. The coming-of-age drama is based on the novel by Philip Roth about the son of a kosher butcher who leaves his sheltered family life in New Jersey to attend college in Ohio, where he clashes with the dean. Amazon has closed a $10 million deal for domestic rights to Kenneth Lonergan’s family drama “Manchester by the Sea,” which garnered rave reviews following its world premiere at the Eccles on Jan. 23. Sony Pictures Classics acquired worldwide rights to the documentary “Eat That Question — Frank Zappa In His Own Words,” about the legendary composer-musician. The film is told entirely through archival footage assembled from the performer’s 30-year career in entertainment, including rare TV interviews and performances from around the world. Oscilloscope Laboratories acquired U.S. rights to Anna Rose Holmer’s debut feature “The Fits” from Mongrel International, just days before the film’s Sundance premiere. Oscilloscope will release the film theatrically this summer, when it will first open New York’s new Metrograph theater.